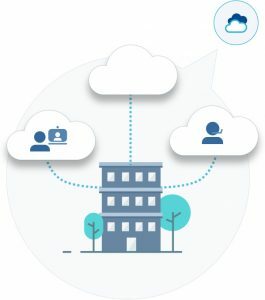 WHY DO CLOUD SERVICES REQUIRE DIRECT CONNECTION? Many organizations make increasing use of local and international cloud services, for various reasons – convenience, better cost compared to internal organization alternatives, payment according to use, short implementation time, etc. Many cloud services today are located in Europe, North America and the Far East since cloud service providers prefer to be physically near their users. Users of an organization that turn to a cloud service (AWS, Google Cloud, Azure, Office 365) expect the same service and work experience as they get using the internal servers of the organization. In addition, any failure of such services as a result of a Distributed Denial of Service (DDoS) attack on the organization’s internet infrastructure would render all cloud users (and internet users) unable to work. Internet Binat provides a dedicated access to cloud services located abroad, creating an independent infrastructure with cloud services in Europe and the United States, separate from the organization’s infrastructure. This infrastructure provides a fast, stable and secured connection between the organization and the servers and various cloud applications in Europe and the United Stated, with full protection from DDoS attacks. Want to hear more about our direct to cloud solutions? Use the contact form, and we will contact you soon. I Agree to receive monthly Updates, Articles and Information.